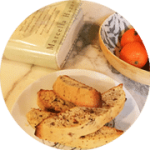 Here following you will find a FREE Italian Video Course for Beginners addressed to people that want to have a general overview about the language. 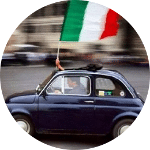 Each post contains a YouTube video and a clear description about each Italian Language topic. Also, all our Video-Lessons are available on our You Tube Channel. This Course is basically divided in two parts. The First Part concerns the basics of the Italian Pronunciation. The second part concerns the basics of the Italian Grammar. Because this Course is addressed to Beginner Learners, the language used in the videos is English. Learning a language means as first to become familiar with a foreigner pronunciation. The pronunciation is the first aspect with whom we get in touch and definitely the most difficult to learn. That’s why we would like to give you some basic ideas about the Italian Pronunciation. 1 – Italian Pronunciation: The Vowels. 2 – Italian Pronunciation: The Letters C and G.
3 – Italian Pronunciation: Strange Italian Consonants (“SC+i,e”, “GLI”, “GN”). 4 – Italian Pronunciation: Double Consonants. 5 – Italian Pronunciation: The Accent in Italian. What is really important in a language is being able to speak. That’s why in our Italian Courses we give so much importance to the Conversation. Nevertheless, the Grammar is a kind of map to proceed in this new territory that is the Language that you want to learn. That’s why, before you start studying Italian, we would like to tell you about the basics of the Italian Grammar. 6 – Italian Grammar: The Three Conjugations. 7 – Italian Grammar: The Present Tense. 8 – Italian Grammar: Mood and Tenses. 9 – Italian Grammar: The Noun. 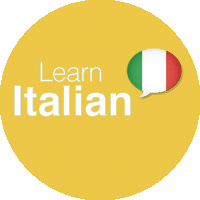 10 – Italian Grammar: The Adjective. 11 – Italian Grammar: The Article.